Me : Finally it’s summer! I can blog all the time! Summer : Gets to be halfway over without my permission. Me : Posts one blog and has no inspiration for more than one post. Every year I forget how busy summer can be, and this one in particular as I’m getting ready for my senior year of high school. That means scholarship applications, college course registration and more. Also, I feel like I spend all of my time in physical therapy because volleyball season is just around the corner! So yeah. Life is crazy, but so crazy fun. I hope your summer is going great, and you are being blessed in every way. 1. God has a plan!!! – I know, I know. You can’t be a Christian and not learn this lesson. You can’t go through life (religious or not) and not hear this phrase. But if I’ve learned one thing in my seventeen years on this earth, its that God is always bigger than the moment. He knows you hate what you’re going through, but He also knows that the outcome will bring Him so much glory and you so much knowledge! Life is just one big schoolhouse. Update : I wrote this on a day when I could see God’s plan. I could see the amazing things He was doing in my life. I could see how everything was going to work out for His glory. It only took two days for that to get turned upside down, thrown on the ground, stomped on and ripped to shreds. It was a reminder that yes, God does have a plan, and you don’t know what it is as much as you’d like to think you do. 2. Let yourself be sad. – I have struggled with this so much in life, but recovering from major surgery has truly opened my eyes to this. If you keep your sadness inside too long you will be miserable. To let yourself be sad, to let yourself grieve; that is when the true healing begins. It provides the vulnerability God needs to get through to you. My favorite quote of all time. 3. Coffee is awesome. – Words to live by. 4. Go with the flow. – This is a very recently learned lesson for me. But in life you have to prioritize. We only have so much effort to give, and to let go of the things that aren’t important and focus more on what God is calling us to work on is to be human. It will give you more energy to use for God’s glory. 5. Life is short. – Eat dessert first. 7. You’re stellar. – Inside, outside, upside, downside. 8. Being single is OKAY. – Its more than okay. Its awesome. Being single gives you more time and more energy for growth – spiritually, mentally and emotionally. It allows God to use you in ways He couldn’t otherwise. WHAT DO YOU MEAN? I am a seventeen year old girl. I’m barely even a senior in high school. Why should I be dating someone? Obviously that is not God’s plan for me right now, and I’m very grateful for that because now is not the time. Life is too busy, too crazy, and too full of other amazing things! I’m not trying to bash people here, but why is it that literally every aspect of society thinks being single is a bad thing? Yes, I understand that marriage and relationships are great and a part of life that God created with the intention of it being a blessing. But being single is just as great! So whether you’re single, dating, engaged or married, I hope God is cultivating your relationship (or lack thereof) for His glory. 10. Get excited! – For yourself, for others, for strangers, for friends! GET PUMPED! Life is so crazy awesome (most of the time) so why not celebrate!? Don’t be lackadaisical, or you’re going to get bored really quick. Have some fun! 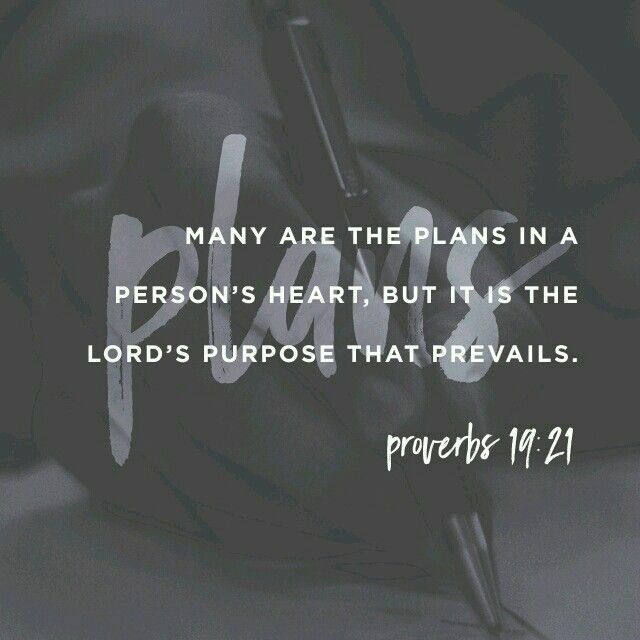 Credit to artist from YouVersion Bible app. 11. Get out of your comfort zone. – I’m terrible at this. TERRIBLE. I am one of the homiest homebodies of all time, and there isn’t much I’d rather do than stay home in the evening and watch TV with my family. But every once and a while, I do something I wouldn’t normally and I have yet to have a bad experience. Credit to The Isaiah 53:5 Project. 12. Life has many seasons. – They are defined by a billion different things. But one thing is for sure. You only get to experience each one once. So enjoy it. 13. Don’t force it. – I’ve had to work really hard to remember that its okay if I don’t post for a long time. No one is depending on me. I’m doing this of my own free will in the hopes that some good will come out of it. Writing something because I feel like I have to will do nothing. So whatever it is that you feel like you need to do; don’t push it. Just let it happen. Unless its homework. Do your homework, kids. 14. Mental health is health. – I do not have a mental illness, but I am incredibly close to people who do. It has made me much less likely to judge people (though I still do it). PLEASE do not try to validate depression, or anxiety, or any other mental illness. Just accept that you don’t know what its like. All you can do for people who are suffering is be a friend and show them unconditional love. 15. High school isn’t the same as High School Musical. – Sorry. 16. Growing up is HARD. – Picking a college and a major and finding scholarships and putting together a plan and leaving things behind and trying to not drown in stress is hard. I pray for those of you who are in the same season as I am. Its HARD. I hope you’ve enjoyed this chapter! If you ever need anything from me, whether that be a prayer request, a suggestion of some kind, some advice (why anyone would come to me for advice I have no idea) please don’t hesitate to ask. Also, if you have something you’d like to see on this blog I would LOVE to hear your ideas! Oh, before I go, here’s a quick personal update for those who have been following my journey. I recently hit 6 months post op *insert dance party here* 🙂 and my op hip is feeling awesome! The only thing left to do is get my screws removed, which couldn’t happen soon enough. They’re annoying! As for my other hip, it turns out the fix isn’t going to be as easy as we had hoped. There isn’t much the doctor can do for me surgically, because it is full of arthritis. I have an appointment with him on August 3 to discuss the options we do have, so if you could be praying for that I would be so appreciative. I’m pretty nervous. What a wise, inspirational young woman you are!